Get those minor problems tackled before they turn into major ones. Spring and Autumn are good times to give your home a maintenance check and you can look forward to spending more time enjoying your old house! Is water cascading over the edge of gutters? - If it is they are likely to be blocked at or before the outlet to the downpipe (or possibly falling the wrong way). Get the gutter cleared (or re-aligned). Leafguards - cages that slot into the opening to the downpipe - trap leaves before they get into the downpipe but sometimes they just make things worse by damming the gutter, if fitting them anew treat them as an experiment and watch progress. Are the gutters leaking or dripping at a joint? A persistent drip can eventually wear away mortar, paint or render where it hits and cause damp problems in walls. Is nothing coming out of the end of the downpipes even in heavy rain? There is probably a blockage either high up at the gutter outlet or somewhere in the pipe - perhaps at a bend. (The water that should be in the pipe will probably already be obvious spilling over the walls). It is better to fix the problem with the gutters and pipes now rather than let it develop into a major building repair as well. Is water coming out of the back of the pipe? Badly painted iron downpipes can rust through and leak. A leak may only be a joint that needs re-making but if the pipe is broken or rusted through then it is usually preferable to replace the pipe in the same material. Do the gullies (at ground level) fill and overflow when it rains? Clear any leaves above the grid. If it is still full of water then there is most likely either something blocking the trap (sometimes the trap is a U-bend) underneath the grid or some problem with any underground pipes that take the water away. Make sure the pipes run freely so water runs away rather than rising up the walls. Roof leaks - High winds may have dislodged tiles or lifted lead work, so get these checked if anything looks amiss from the ground (it may help to use binoculars). Tiny holes or cracks in leadwork can admit quite a lot of water and are difficult to see even close up. Sometimes, if this is possible, a trip into the roof-space can help pin-point a leak. Flat roofs - Don't forget these, all outlets should be clear so that if they get piled up with snow it can melt away safely. Under-floor Vents - Leaves may have mounded up over ventilating grilles to under-floor spaces. Clear leaves and soil away from these grilles to maintain ventilation to protect the underside of timber floors. Tiny cracks in paintwork around timber windows - particularly cills - can contribute significantly to water getting into the fabric of an old house. Rubbing some ordinary linseed oil glazing putty into small cracks in painted traditional woodwork can help keep things drier until the weather is right for repainting. Check rendered walls for cracks. 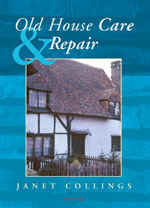 For those lucky enough to have an old house complete with lime mortar or lime-rendered finishes then spring is the best time to have permanent repairs in those materials carried out - any repairs made in the autumn may be damaged by frost and need re-doing in spring. But even that can be preferable to introducing impermeable modern materials. If the house has been cement rendered or painted in plastic paint it is important to keep these free from cracks as these materials do not allow water to dry out of olden construction as adequately as can through lime render and finishes. Outside taps - In winter turn these off (preferably at their internal isolating valve) and wrap them and any exposed pipes in insulation for the winter to help prevent damage from freezing. Climbing plants - Make sure that any plants that grow over the walls of the house are not obstructing gutters, downpipes or gullies at ground level. Those plants that have lost their leaves for winter can be more easily trimmed away from windows and roofs before next year's growth. Plants at the base of walls - Ensure that any plants are kept clear of the walls and that earth has not been mounded up against house walls, as this may cause damp to transfer into the walls. Heating - Check around pipes, especially under junctions, taps and bends where leaks are most likely to occur. Ensure that radiators are not trapping pockets of air (by having them 'bled'). Remember also that sweeping chimneys - for open fires - and servicing boilers makes for safety and efficiency. See also the Health and Safety Executive website. Roof insulation - For the long-term benefit of the house it can be preferable to choose insulation that is totally removable (not 'glued' to the structure) and which does not encase or seal up the fabric. Old houses need to 'breathe' so avoid products which prevent this. Some products may produce irritant fibres or fumes which people may wish to avoid in their homes. Products that are non-combustible and will not produce toxic fumes in the event of a fire are a sensible choice for roofspaces in old houses. Be careful not to block up those all-important ventilation paths at the eaves or at the back of the tiles since ventilation can help stop roof timbers decaying. Do not trap electric cables (or the tops of light fittings) inside insulation where they could overheat. If laying insulation as DIY then wear protective clothing, mask and goggles as appropriate to the product. Water tanks - Make sure that water tanks in unheated roofspaces are insulated too (leaving out the insulation just beneath them is an old trick to ensure they get some heat from the rooms below). Draughts - No one likes to sit in a draught but remember that air movement is vital to old houses as it can help to keep them dry and free from decay. It may often be difficult to banish draughts completely from an old house anyway, there are so many nooks and crannies; so adopt some of our forebears' ideas by making use of heavy curtains and keeping doors shut. Ladders - Many DIY accidents involve ladders. If unsure about them or without a head for heights then get professional help and stay on the ground. Only carry out work within personal capability and where safe. If using ladders make sure they are at a safe angle, securely tied and anchored, before climbing them. Use footwear which grips the rungs well. Don't carry heavy loads up ladders and don't over-reach. (See under 'ladders' on Health & Safety sites for more information). Be sensible - Understand what you are doing and find out about the materials, construction and substances you are going to be working with. Get the right protective clothing. And then only work within your capabilities. Don't be afraid to take your time and think a job through. Old houses can contain a lot of surprises - especially to those only familiar with newer buildings. Power tools - and machinery - need to be treated with proper respect and fully understood, the way professional builders do: they are potentially lethal! Old houses were built without any of our power tools anyway and sometimes hand tools can be kinder to them, more appropriate, save money (and provide useful exercise!) Make sure that electrical supplies used in this connection have appropriate RCD protection and other necessary measures to reduce the risk of shock (plug-in adapters are available if the household wiring doesn't incorporate this already) and keep electrics away from water. (See the Electrical Safety Council site). 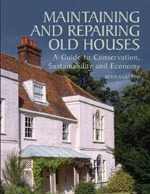 Decay starts with water in the fabric - Don't trap it in there but let old houses 'breathe' it out! 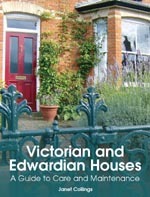 This checklist aims to help foster an understanding of the general issues involved in the maintenance of old domestic dwellings in the UK but cannot cover all aspects of all possible issues and is for information only. It is not a substitute for specific professional advice. Information may be updated at any time without notice. Some building processes, products and materials are subject to regulations and laws governing permissions or the proper and safe use of materials. oldhouse info has no control over how any of the information contained in this article or elsewhere on its website or on any linked website is used and can accept no liability for loss, damage or injury however caused. See full disclaimer and terms and conditions on www.oldhouse.info.